Cambridge is once again the backdrop for a new television production. Cast and crew of the of the upcoming Netflix series “The October Faction” were filming Thursday in the area of Blenheim and Blair Roads. The city says additional shoots will take place between September and December. The series is based on the graphic novels of the same name. The story revolves around a retired monster hunter named Fredrick Allan and his family. Some fans call it a horror-themed story with an Addams Family twist. The Handmaid’s Tale and Designated Survivor have also filmed in Cambridge. 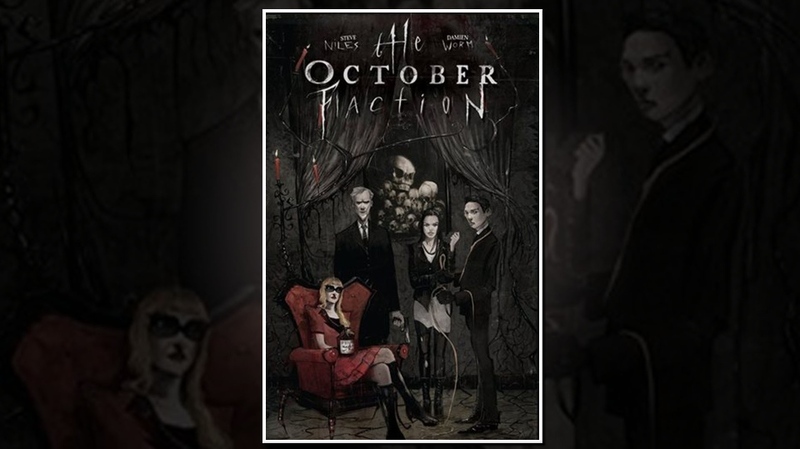 Cover of the graphic novel "The October Faction."